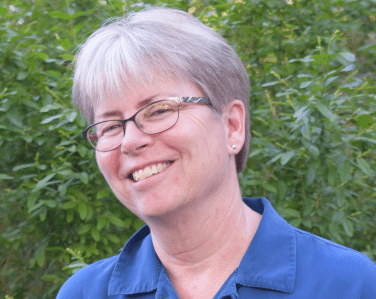 Braille Institute has named Jeri Hile its 2018 “Teacher of the Year” for excellence in Braille Instruction. Jeri, a Teacher of the Visually Impaired for the Shawnee Mission Public Schools, one of the major school districts in the Kansas City metropolitan area, is being recognized for her dedication, innovation and creativity in teaching students who are visually impaired or blind. “Jeri Hile is a gifted teacher and a valuable role model for students,” said Peter A. Mindnich, president, Braille Institute. 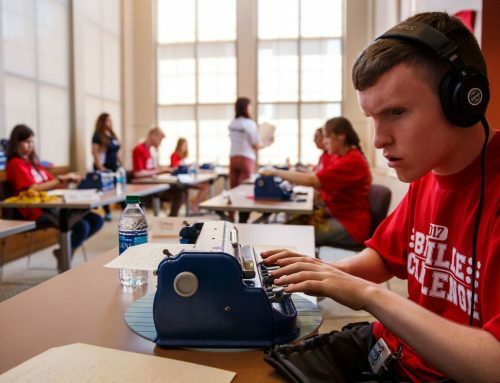 “She is an innovative educator who promotes braille literacy through creative lesson plans and technology. Jeri also uses mathematics to help her students think logically in order to assist them to realize their full potential.” He added that Jeri specializes in helping prepare her students for college and careers by fostering independent living and self-determination skills. “Jeri’s impact on her students’ lives is immeasurable, and we feel privileged to be able to honor her this way,” Mindnich said. A teacher for the visually impaired for a decade, Jeri was nominated by the family of one of her students. 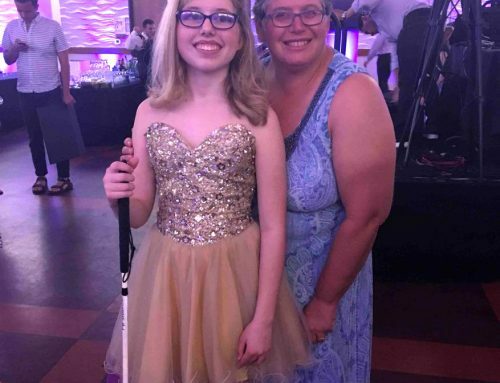 They attribute their daughter’s success in school directly to Jeri’s dedication and teaching skills, saying that she “knows how to push her students to want to learn, and not just learn, but to excel.” Her dedication has shown results as students have succeeded in college and the workforce. Jeri is steeped in the basics and is well versed in adaptive technology, which she uses to great advantage with her students. She works hard at fostering independence in her students. For example, she teaches students all important financial literacy. She also provides them with hands-on experience for things that sighted people take for granted, such as making a tactile drawing of a baseball field and then visiting an actual baseball field to help the students understand the concept. A leader in the field of visual impairment, Jeri has delivered presentations and workshops at the Kansas AER Annual Conference and Regional Area Vision Professional Group Meeting, sponsored by Kansas State School for the Blind, and is co-author of a paper published by the Journal of Visual Impairment and Blindness. She has been honored with an Envision TVI Award, for which she was nominated by both her students and peers. Jeri has also initiated several programs for her students, including a cooking club for children in middle school and higher. She has also helped organize and lead study groups for children who go to the national Braille Challenge. Jeri earned her MS in Special Education with an emphasis on Visual Impairments from Missouri State University and her BS in Mathematics from the University of Missouri-Kansas City. She is also a Certified Orientation and Mobility Instructor, as well as a Certified Braillist. In addition to her teaching responsibilities and after school curricular activities, Jeri is a member of the Kansas State School for the Blind Advisory Board and is a Braille Certification Grader. She also served as secretary for the Kansas Association for the Education and Rehabilitation of the Blind and Visually Impaired (AER). 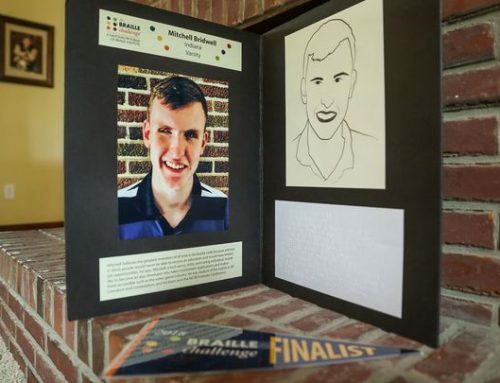 The Teacher of the Year award is an opportunity for all teachers of the visually impaired (TVIs) to be recognized on a national level, for the indelible contribution they make to the lives of students who are blind or have severe vision loss. 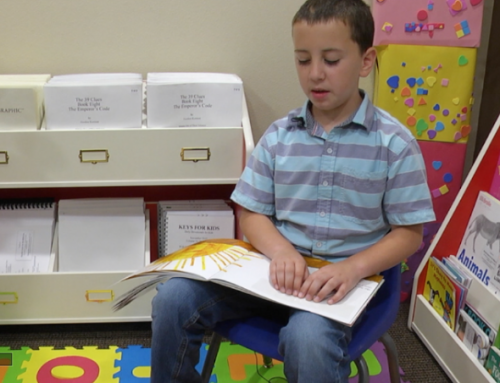 Any TVI in the US and Canada can be nominated by peers, students or parents. 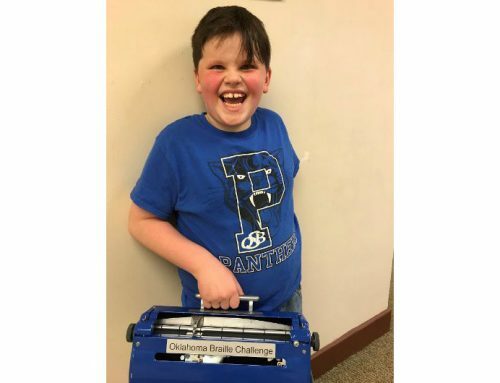 The Teacher of the Year is selected by The Braille Challenge National Advisory Committee and is invited to attend The Braille Challenge National Finals in Los Angeles, with all expenses paid. In addition, the Teacher of the Year receives a cash award and a BrailleNote Apex Notetaker, thanks to the support of HumanWare.